Cool Hand Burg: I think Erik's being watched . 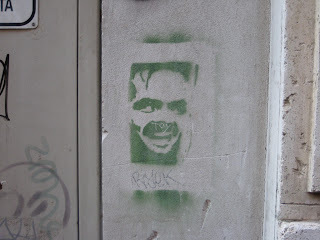 . .
As Karen and Erik were walking down an alley in Rome, they saw this on a wall. 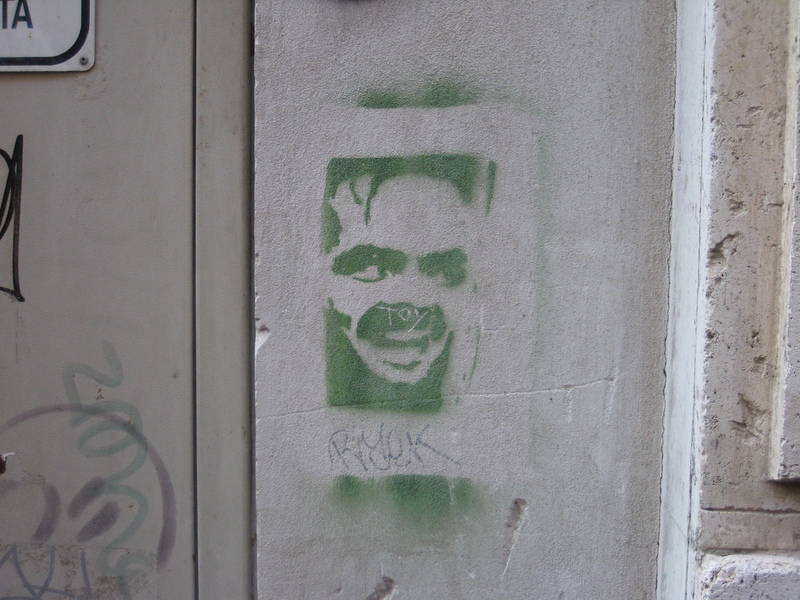 Devotees will remember that Jack Torrance was in Red Hook as well.